Hanes Chapel | slate river ramblings . . . .
Hanes Chapel, built in 1859, was named in honor of Col. Elijah Garland Hanes, founder of Buckingham County’s Humanity Hall Academy. The basis of the congregation for Hanes Chapel previously worshipped at nearby Stony Point. A dedicated Methodist, Col. Hanes helped establish the Stony Point chapel located about a mile northeast of Humanity Hall. In 1853, he served as both Class Leader and Steward. His wife, Judith (Ayres) Hanes, and his children, including Garland B. and James C. Hanes, joined him there. 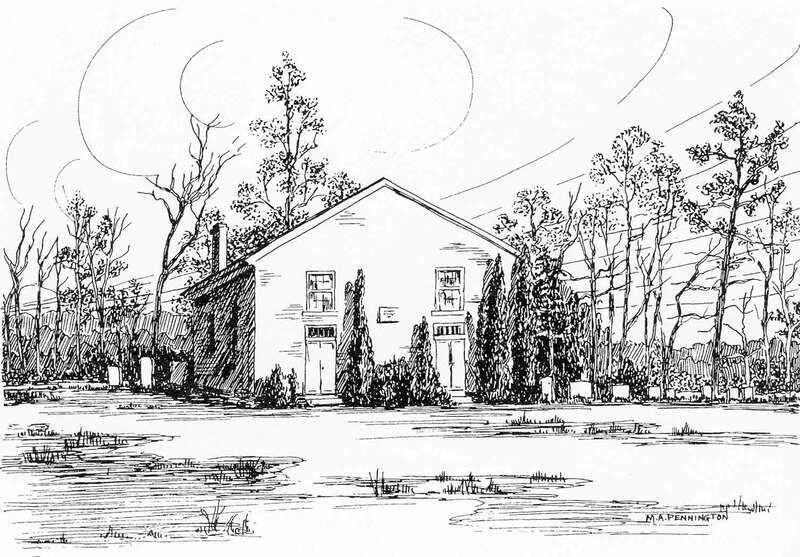 After Hanes’ death, Hanes Chapel was constructed about a half mile east of the Academy. Still in use today, the oldest grave there dates from 1841. Read more about Elijah G. Hanes in “At a Place Called Buckingham” —Volume Two.